To welcome new students to our city we are holding an afternoon tea: Cakes, sandwiches, scones, cream & jam, more cakes and of course lots of tea. On Sunday 4th October, from 1:30pm to 4pm at 1 Mill Street. The cost is free, but if you would like to give something then there will be a donation box for the current refugee crisis. 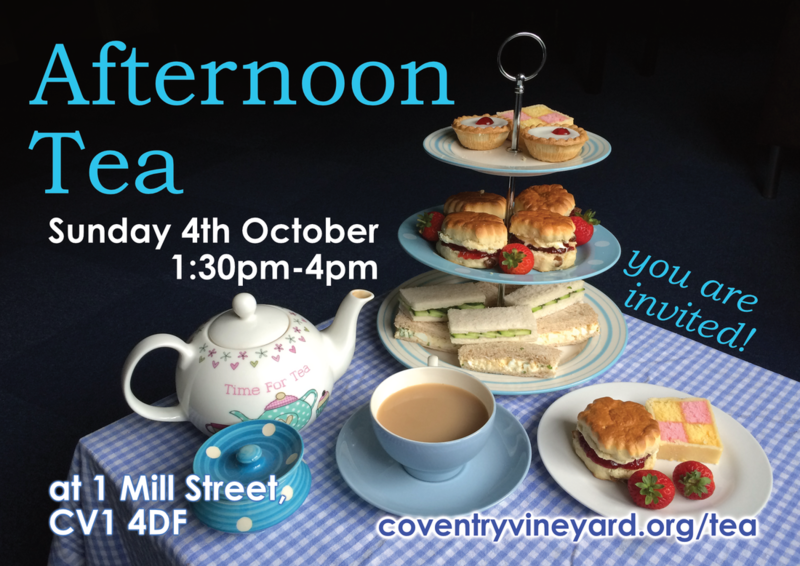 Bring your friends, housemates, colleagues and anyone who could do with a proper British Afternoon Tea.